KO Wrap is a boxing gauze hand wrap that when used in conjunction with KO Tape, helps to create the ultimate choice for boxing hand protection. Keeping you ahead of your competition and injury free. The 100% cotton gauze stretches across the width for a comfortable fit to the wrist and hand. The wide open weave gauze bandage does not stretch lengthways, this assists in holding the hands bones in place. 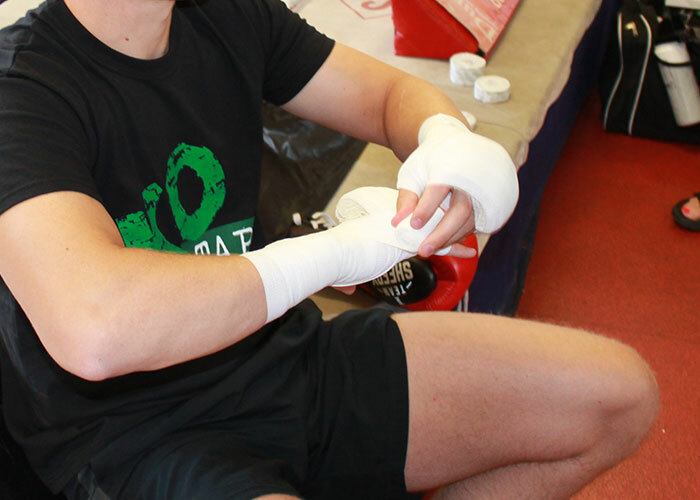 The KO Wrap itself is completely reusable, so it can be used again and again under tape for training and fight nights. Making it the most cost effective hand protection you can buy.